This trendy Bar Mitzvah invitation from Checkerboard has the “wow” factor you want! 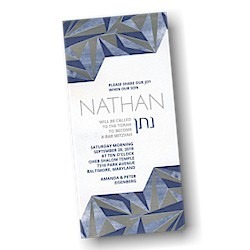 This modern Bar Mitzvah invitation is digitally printed and foil stamped on bright white single card stock and features stylish graphic motifs at the top and bottom with your wording details framed in the center. The optional Hebrew name of the Bar Mitzvah is added for the finishing touch. Measures 4-3/4″ wide by 9-3/4″ high. Shown with flat Navy and Silver inks with Silver Matte foil and lettering styles FONMQ4N, FONMEHD (name), and optional Hebrew font FONFANN. 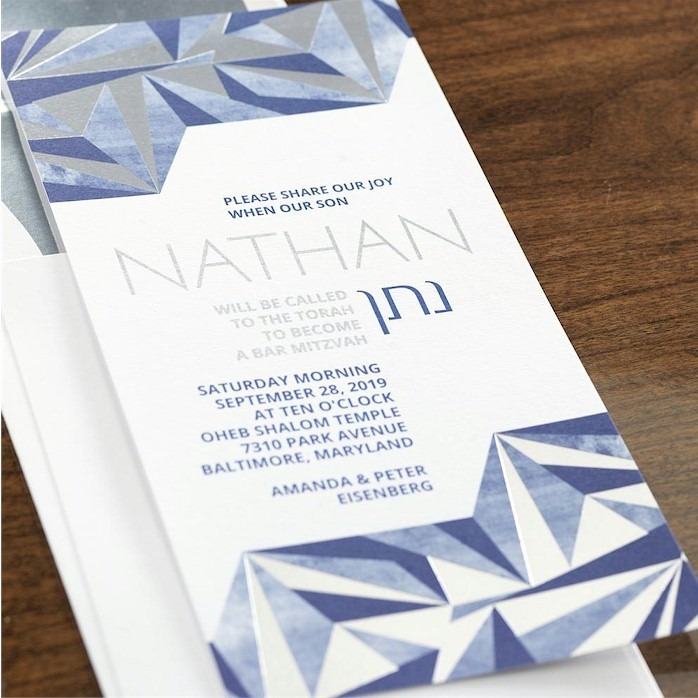 The party card will print on single card stock with a blue background and coordinating design in the lower left, and the RSVP card will print on bright white stock. Your thank you notes will print on white folder stock with a matching watercolor background. This Bar Mitzvah invitation comes with plain white Bavarian flap envelopes. 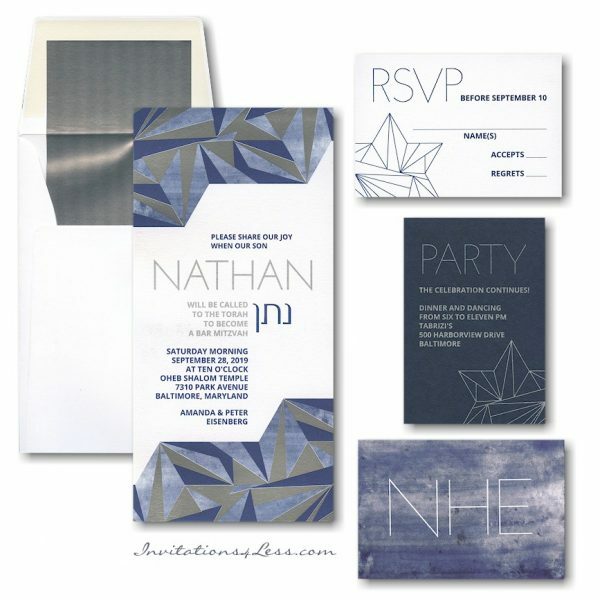 This invitation ensemble qualifies for FREE proofs and FREE UPS Ground shipping. Indicate CBFREE in the Promotional Code area of the online order form.